The halberd is a staff weapon topped by an axe and spike. It first appeared in the 13th century, and is associated with the fearsome Swiss infantry. 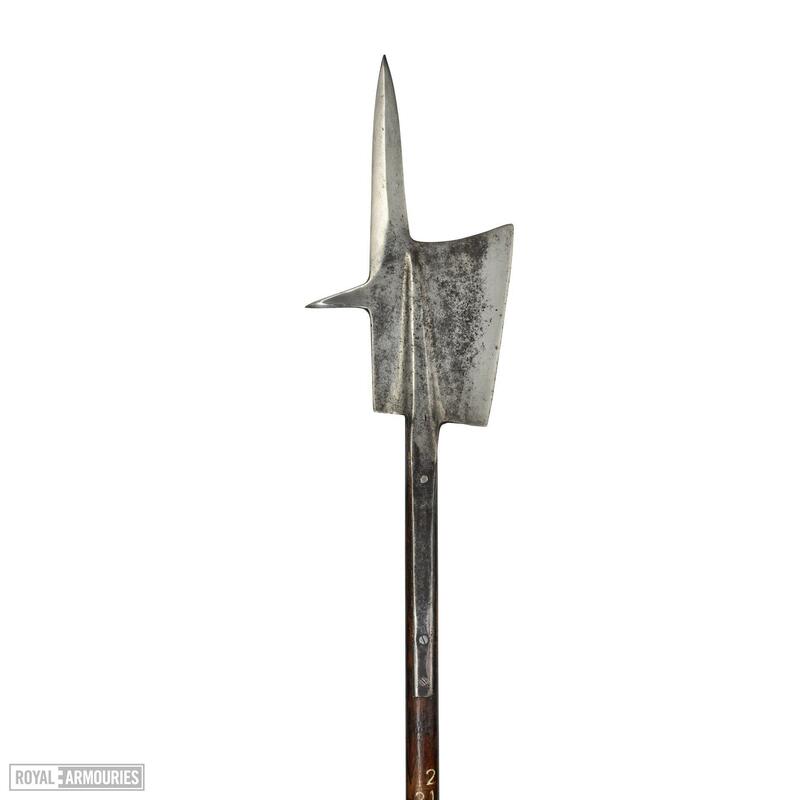 The Swiss developed the halberd in the 13th century. 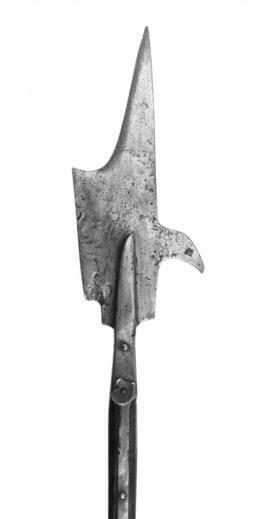 It had an axe-like blade, with a fluke at the back and a spike at the top, which was mounted on a long wooden stave usually around 2 m (78 ¾ ins.) long. 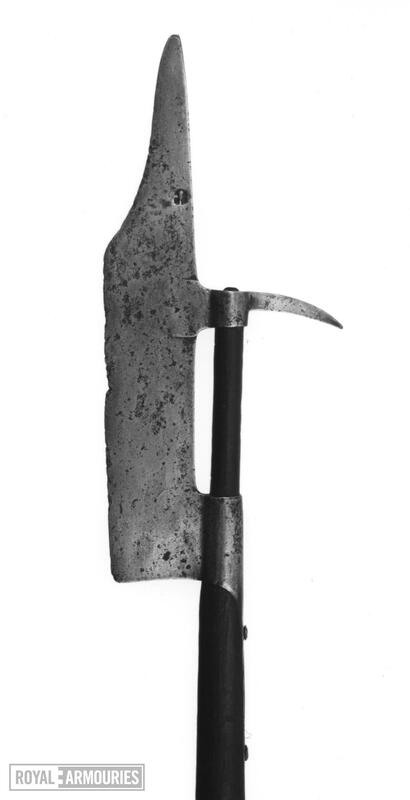 Langets (thin metal strips) were riveted down the wooden haft from the head to help prevent the head from being cut off. 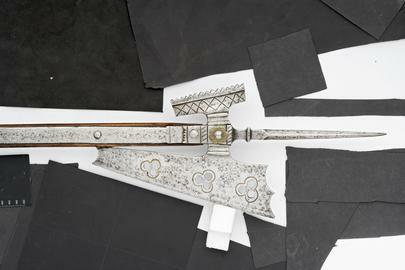 The halberd remained in use until the 18th century and is still the ceremonial weapon of the Swiss Guard in the Vatican. 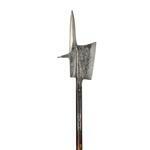 The halberd was primarily a slashing weapon, although its spike could be used for thrusting. It could keep mounted men-at-arms at bay, as well as hook and unhorse them. 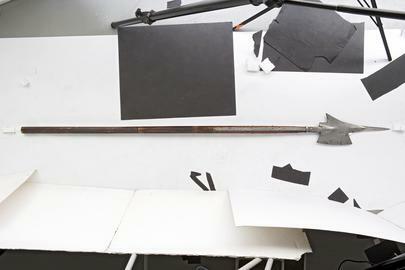 The use and decisiveness of infantry wielding staff weapons was seen throughout Europe. 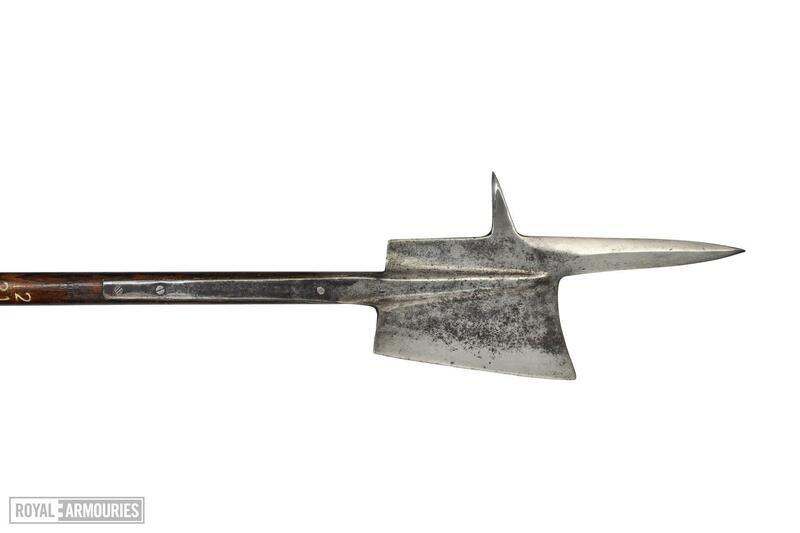 The Swiss used halberds to help defeat the Austrians at the Battle of Morgarten (1315). The Battle of Sempach (1386) saw the Swiss use halberds to fell dismounted Burgundian men-at-arms advancing with lances. In 1898, the tombs of Duke Leopold and 26 of his company were opened, which revealed many skulls that had been split by halberd strokes.